Keywords: sakura, gradient, roses, watercolour, folk art, one stroke, crystals, studs, abstract, polka dots. 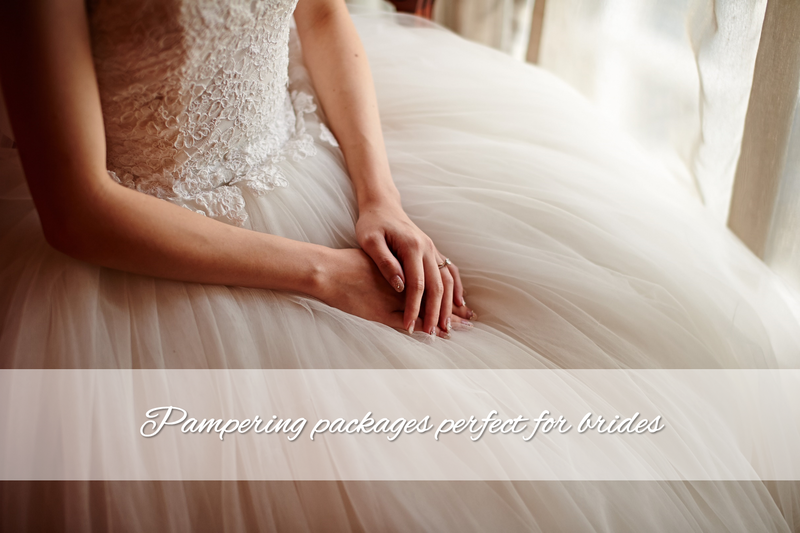 Between 30 May 2014 and 27 July 2014, enjoy classic pedicures and foot spas at a special price when you come with a friend to our Kembangan Suites branch! 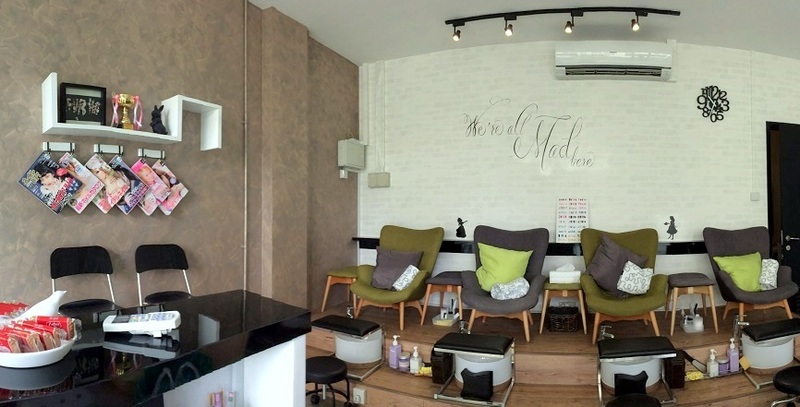 If you haven’t been to our Kembangan Suites branch yet, now’s the perfect time to sink into our comfy armchairs and enjoy a relaxing pedicure over a cuppa tea. Get your feet looking perfectly groomed with our classic pedicure ($38) – we’ll shape your nails, tidy up your cuticles, rejuvenate your soles (more on that later! 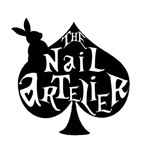 ), paint your nails, seal the polish with quick-dry top coat, and nourish your cuticles with cuticle oil. 1. Cuccio Milk and Honey Sea Salts – These natural Dead Sea Salts are infused with essential oils that dissolve quickly and leave skin feeling soft and polished throughout the day to give a healthy glowing effect. These sea salts have the hydrating and exfoliating benefits of Milk & Honey and are rich in minerals. 2. Cuccio Deep Dermal Transforming Wrap – An intense formula that brings moisture to a deep level of the dermis. It smoothens the appearance of fine lines and wrinkles, and results in fresh, glowing and more radiant looking skin. We’ll generously slather the Cuccio Deep Dermal Transforming Wrap over your feet for a 10-minute heated intense treatment. 3. 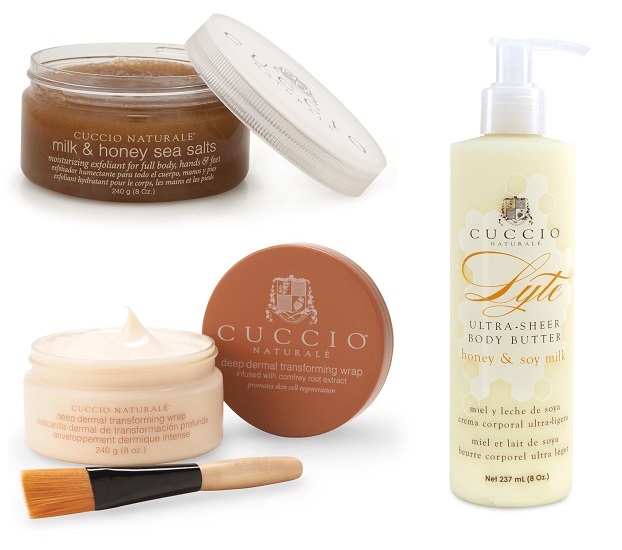 Then, we’ll seal in the moisture with Cuccio Honey and Soy Milk Lyte Ultra-Sheer Body Butter – it delivers instant, non-oily hydration with 24-hour time-released emollients that naturally rehydrate for smoother and more radiant skin. Honey & Soy Milk helps regenerate damaged tissue and skin cells, and is high in Vitamin E and natural humectants to soften and condition the skin. 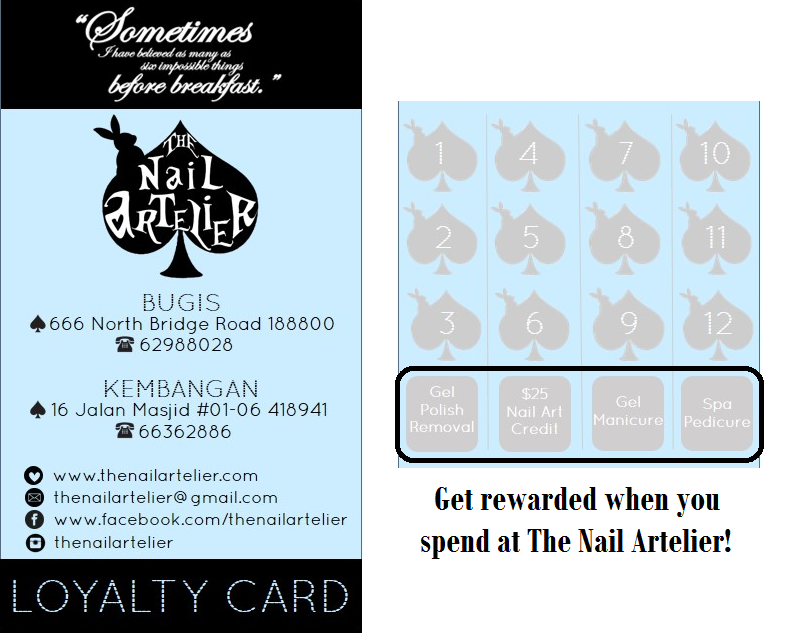 Introducing… our GSS Promo Pedicures in Pairs at The Nail Artelier@Kembangan! Option 1: Save when you bring a friend with you for a classic pedicure – the second person gets a 50% discount off the classic pedicure! Option 2: Save even more when both of you add on a Cuccio Foot Spa – the second person gets the Cuccio Foot Spa for free! When you opt for Option 2, this is how much you pay in total and how much more you save! This promotion runs from 30 May to 27 July, and is only valid at our Kembangan Suites branch. To book an appointment, please call us during our operating hours, or book online. Keywords: Alice in Wonderland, tea party, lace, playing cards, poker, clock, Mario, chef, bacon, eggs, rabbit, bunny, carrot, craftholic, stripes, stars, sheep, dots. Keywords: ruffles, lace, corset, lingerie, stocking, sticker, checkered, flower, fishnet, hearts. If you’ve been following us on Facebook or Instagram (@thenailartelier), you’d have seen our promo art sets for May released earlier! Here’s a quick summary of our monthly promo art deals! The fastest way to book an appointment is by call during operating hours, or by sending in an online booking after operating hours! Keywords: Abstract, Cath Kidston, sketchy, daisy, daisies, studs, embellishments, 3D, watercolour, lace, rose, crystals.